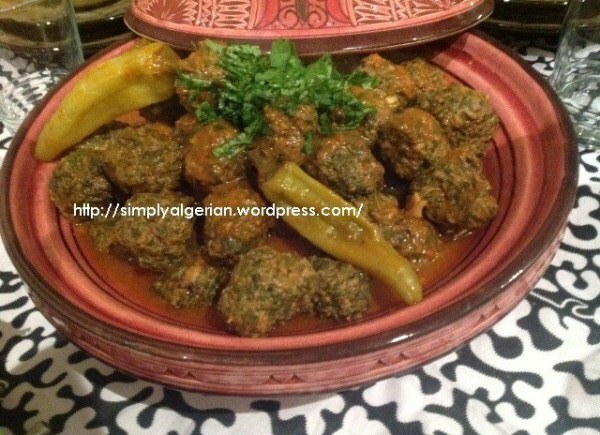 Dolma besalq…..or Algerian spinach/chard meatball tajine is an easy way of turning your regular meatball dish into something more sophisticated and great trick of sneaking vegies into your picky kids menu. 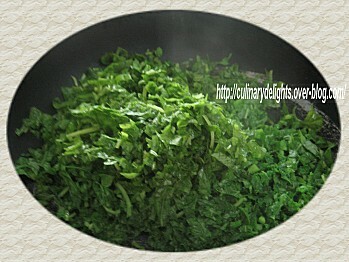 A family heritage that my mom and grand ma used to prepare during winter when spinach and chard are abandant…. 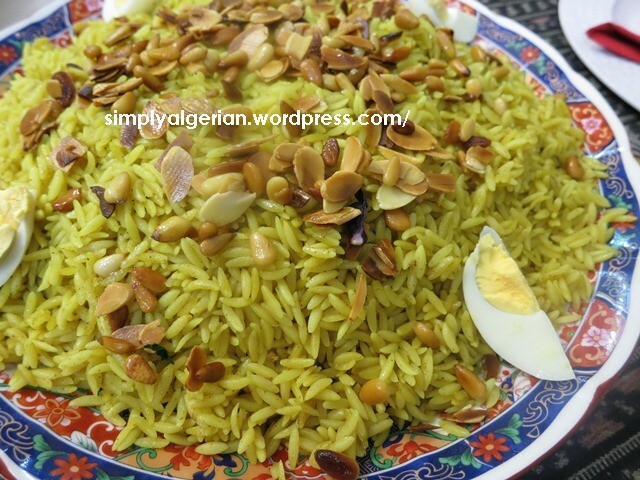 Like all Algerians, we always accompagny the sort of gravy-like dishes with bread, but rice can be excellent alternative as well. You may also « Italianize’ the dish by adding parmesan cheese to the meat mixture, and serve it with pasta. 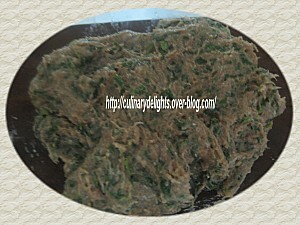 a paquet of frozen , chopped spinach, thawed and drained of all liquid. 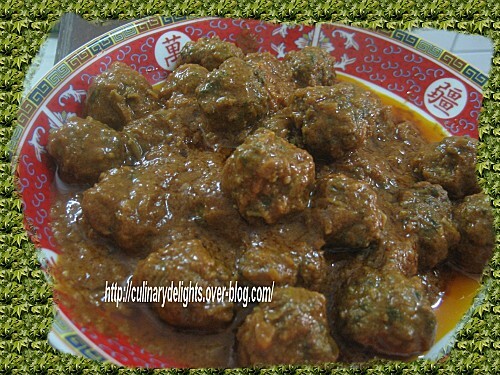 Combine minced meat with onion, egg, , garlic and spices . Add in the cooled spinach. Mix all ingredients until thoroughly combined. 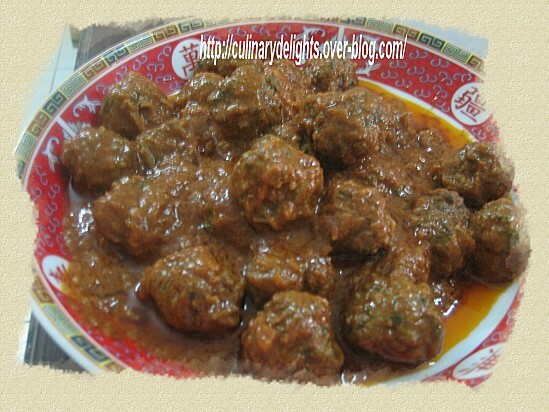 Oil your hands before Rolling the mixture into small meatballs. Set aside. In a large pot, heat chopped onion , add minced garlic and spices . Dilute the tomato paste into some water, add in to the pot, Reduce heat to low, drop, meatballs into the sauce and simmer for 15 mn. Correct seasoning by adding a bit of crashed Chicken or meat cube. Add a knob of butter if desired. ……..une recette qu’on faisait chez moi en hiver quand les epinards et les blettes sont en abandance……. 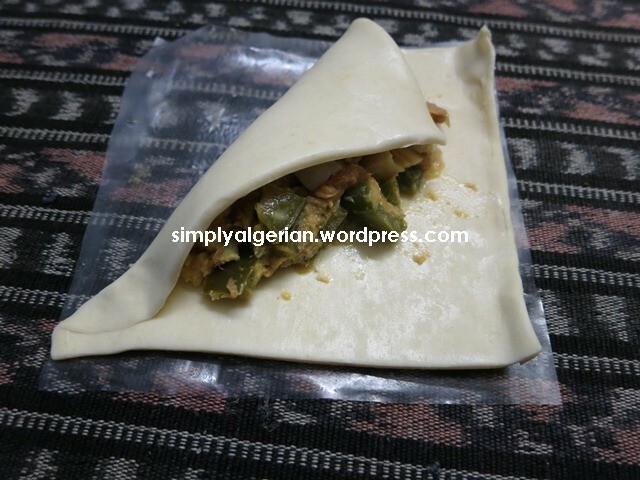 la dolma / la kefta besalq est un delicieux plat , facile , rapide a preparer et ideal pour faire manger les epinards et les blettes aux enfants. le resultat est delicieux et le gout d’epinard n’est pas tres prononce’. 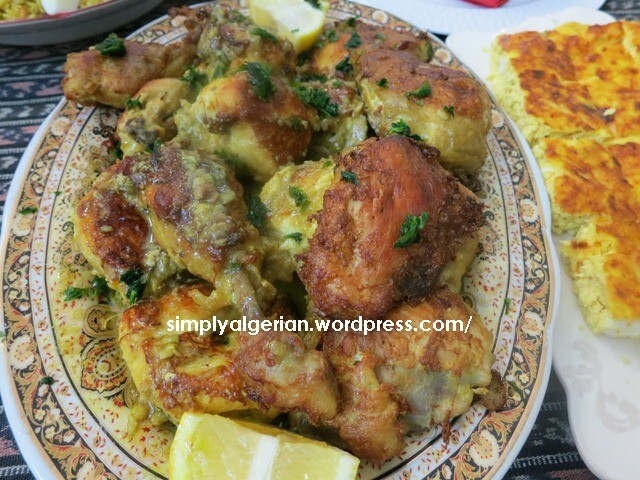 je vous conseille vivement ce tajine et suis sure que vous l’aimerez comme bon nombre de mes lectrices et amis bloggueuses qui ont essaye’ le plat quand je l’avais publie’ sur mon ancien blog. je cite a titre d’example, mon amie kouky ( ) silvi () et souhila () qui avait utliise’ le melange pour farcir ses cannellonis. une botte d’epinards ou de blette lavee’ et hachee’ ou bien un petit paquet d’epinard congele’ ,prealablement hache’. un petit oeuf pour lier. Les ajouter a l’aviande hachee’ puis le reste des ingredients. preparer la sauce tomate , en faisant revenir, l’oignon et les gousses d’ail avec un filet d’uile d’olive, ajouter le sel et le poivre ou bien les epices de votre choix, ( j’ai mis un quart de cube de bouillon) la tomate dilluee’ ds un peu d’eau chaude. des que ca commence a bouillir, enduire les pains d’huile, former des boulettes et les ajouter a la sauce . diminuer le feu et laisser cuire. eteindre quand la sauce devient onctueuse. ajouter une noisette de beurre ( facultatif) . Do you know the etymology of the french word » biscuit » ? it’s derived of the latin prefix ( bis) meaning twice and « cuit, » meaning « baked « and hence « biscuit » can be translates into » twice baked » because the original biscuits were first baked then put to dry in slow ovens…. 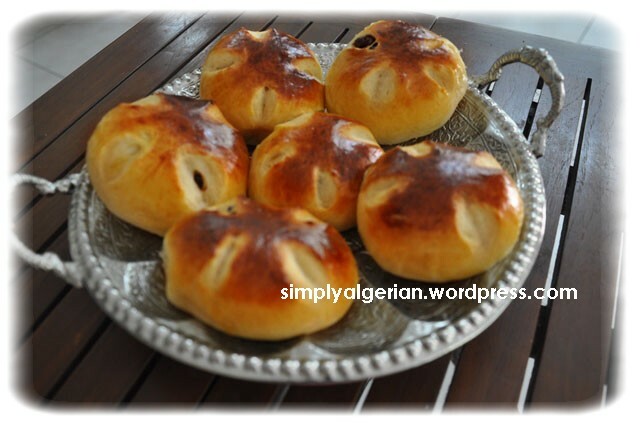 Like wise, there are a host of Algerian tajines that fall into the category of » biscuit »or twice baked. 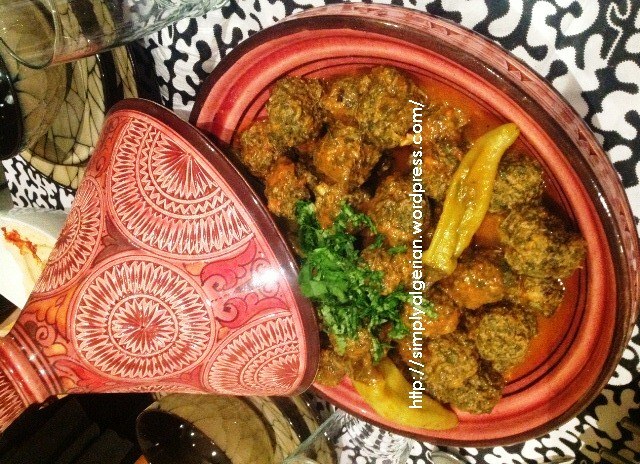 as those meat tajinesthat are first put to cook in a thick gravy then removed and fried , or these vegetables that are fried before being added to the gravy or baked in ovens. 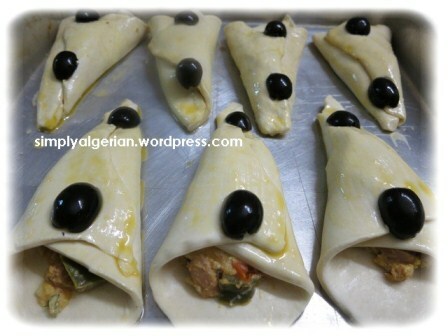 yahny, or djaj mbatan ( poulet panne’) is a typical example of that category . 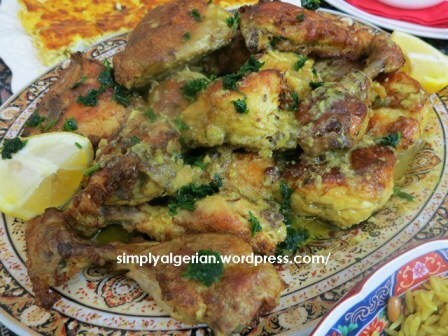 this tajine is composed of pieces of chicken slowly cooked in a thich gravy , then removed, deboned , dipped in an egg and flower mixture ( panure), fried, then served hot with the remaining gravy, parsley and lemon wedges. she used to season the gravy with a dash of cinnamon,I prefer to add ginger powder and turmeric instead. she used to take the trouble of deboning the chicken . I don’t. too bad for my guests! she adds flower to the » panure » . I don’t. I prefer a lighter version . combine chicken pieces , onion, garlic, ghee and spices, stir over low heat , until onion is tender and the chicken is well coated with spices. this will take about 8 to 10 mn. cover the chicken with hot water and simmer until liquid is reduced . remove chicken when it is done. allow to cool, remove the bones and discard ( optional) . whisk the ingredients of the egg mixture . dip, each piece of chicken into the mixture ,allowing excess to drip back into the bowl. fry intil golden brown. transfer into a sieve , tap with paper towel to remove excess oil. place the chicken pieces in a serving dish, reheat the remaining gravy, pour it evenly on the chicken, decorate with chopped parsley and lemon wedges. 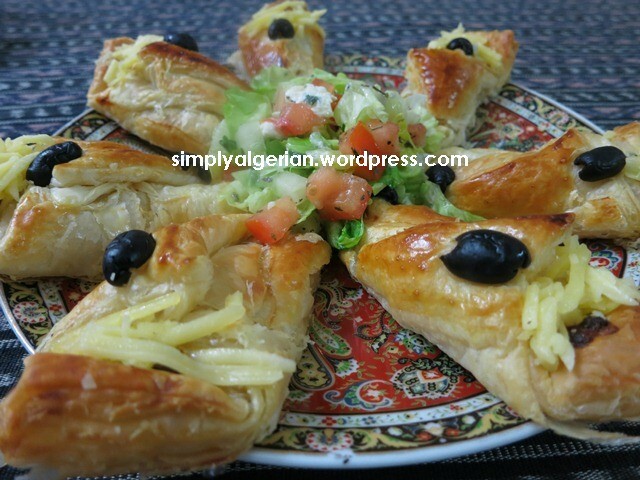 serve with green salad and bread. les tajines a base de viande ou de legumes, sautes dans l’huile puis mis a mijoter encore une fois dans la sauce est tres repandue dans la cuisine Algerienne. c’est un procede’, certes peu dietetique, mais qui donne meilleur gout au tajine . la panure du poulet peut se faire avec des oeufs et de la farine ou bien des oeufs et de la chapelure ( version plus moderne) . personnellement, j’estime que la farine ou la chapelure allourdissent plus le tajine, je me contentedonc , d’oeufs enrichis de persil hache’ et allege’ d’un filet de lait ou de sauce. vous pouvez remplacer le gingembre et le curcuma par la cannelle. Sur feu tres doux, faire revenir pd 10 minutes environ les morceaux de poulet avec l’oignon et le reste d’ingredients. remuer de temps en temps pour eviter que le poulet ne cole a la marmite, couvrir d’eau chaude et laisser cuire. des leur cuisson, retirer delicatement les morceaux de poulet., laisser tiedir, puis les plonger dans les oeufs battus assaisonnes d’ingredients cites ci-dessus . faire dorer dans l’huile chaude, puis mettre sur un papier absorbant. servir emmidiatement , accompagne’ de sa sauce prealablement reduite . decorer de quartiers de citron et de persil hache’. Ramadan is time to strengthen relationship with family and friends by inviting them for iftar ( breaking the fast ). Iftar trditions and rituals varry tremendously from one country to another depending on which part of the world we come from . 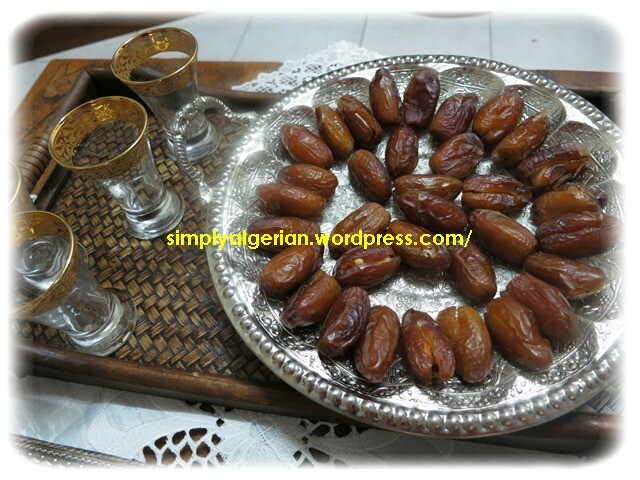 In Algeria, we usually follow the prophetic habit ( sunna) of breaking the fast with dates and milk which provide instant energy and help our bodies stand the hunger . . A typical Algerian table would be composed of chorba or harira ( Algerian soups) , bourek ( filo cigar), tajine hlouw,( sweet prune and raisins tajine), kesra or khoubz edar ( Algerian breads) a main meat dish and a variety of fresh fruits. 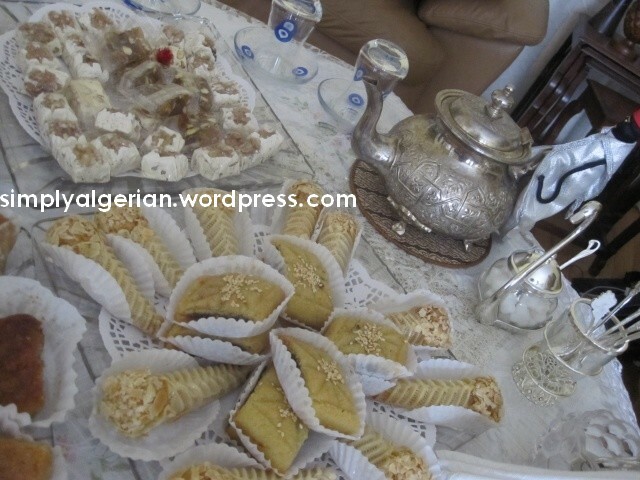 after the iftar is over, people would retire to their living room and have some tea with a large variety of traditional desserts, usually very rich in honey and nut…. 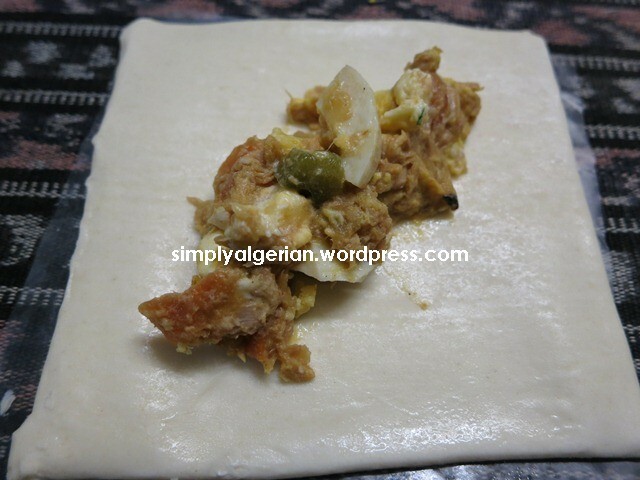 baklawa, ktayefs, mhancha, zlabiya, makroud, kalb elouz, halwet tourk, halkoum, to name few….. 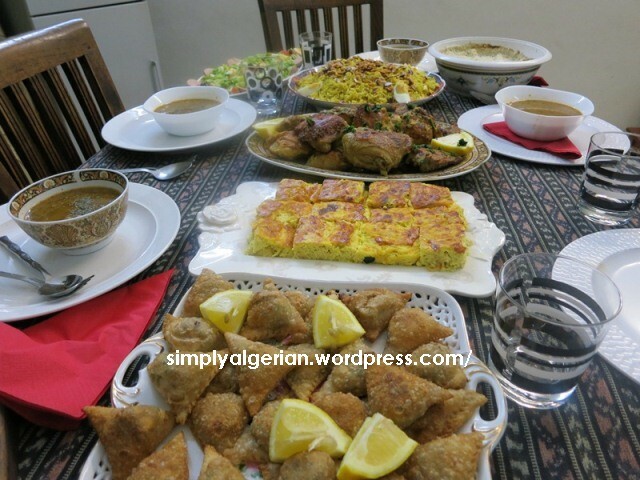 This weekend, I had the pleasure of receiving some friends and preparing some Algerian traditional dishes such as tlitli , which, like the other Algerian pasta dishes is often prepared on the fifteenth or twentyseventh day of ramadan. 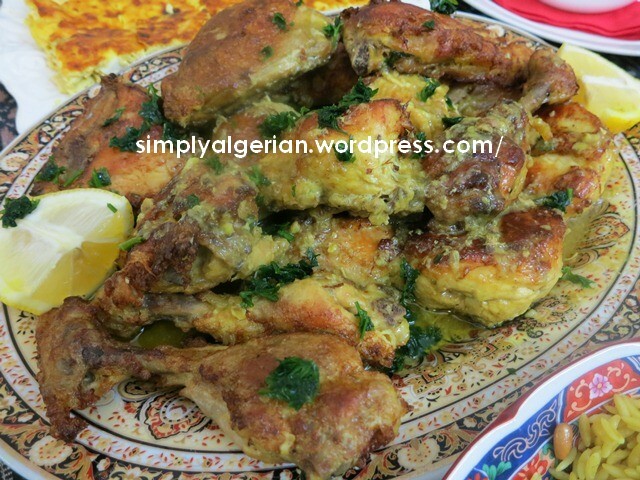 une vue generale de ma table du ftour de ce weekend, ou vous pouvez reconnaitres qulques classiques plus ou moins relookes, bourek lajina, facon samsa, tajine jben, yahni ou chtitha panne’ ( recette a venir ) et notre tlitli national presente’ a la mode orientale, cad, safrane’ et decore’ d’amandes et de pignons a la place des traditionnelles boulettes de kefta et pois chiche. from another angle :the white pancake -like dish from the left, is the yemeni shafout, kindly brought by my friend. A gauche, c’est le shafout, des crepes yemenites avec une sauce au yaourt un peu piquante, un plat tres prise’ au yemen et gentillement ramene’ par mon amie. j’ai pratique’ suivi la meme recette que le lien ci dessus’ sauf que j’ai remplace’ la cuillere a soupe de chapelure par une pdt coupe’ en des, cuite dans l’eau et ecrasee’ puis incorporee’ aux restes des ingredients. I followed the same steps as the above link and replaced the tbsp of breadcrumbs by 1 mushed potato. Though far from being rosy , Algeria and spain have always been tied by a a long history of political and cultural relations ,… since the early times of the spanish conquests of Algerian shores , passing by Miguel De Cervantes, the father of the spanish litterature and the author of Don Qui Xot who was captured and put to slavery for 5 long years in Algiers ……up until the Andalusian period and the Spanish Pied Noire presence during the French occupation ……. Today, The Spanish and Andalusian legacy are still clearly seen in modern Algeria , be in in architecture, linguistics or food…..
from the Spanish fortresses of Oran and the Andalusian palaces of Tlemen , to the Iconic tajine lahlou and the « andalusian » music, Algerian food , culture and language have absorbed elements of Andalusian and Spanish heritage and recasted them into local moulds. and because this blog attempts to epitomize the amazing variety of Algerian cultures , let me shed the light on some linguistic Andalusian -Spanish influences in Algerian dialect…..
when searching the etimology of certain words , I found a long list of lexicon coming direcly from spanish like » senariya » which is the name of carrot in the eastern province of Algeria as well as Tunisia. the word comes from Andalusian Arabic « senarya » which in turn derives from the Spanish » « zanahoria » . 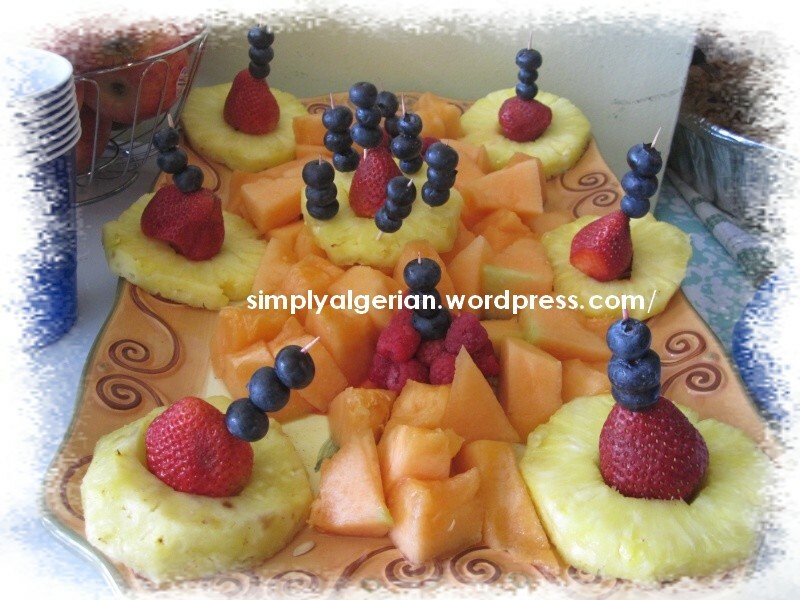 » Tchina » or Orange in Algerian dialect also comes from Spanish language. While, for the rest of the arab world, » orange » translates into » bourtoukal », Algerians use the term tchina to designate the fruit…. and as it is the norm in Linguistics , people have this tendency of dropping long words or swallowing heavy letters…. Algerians who probably dicovered the sweet oranges via the Spanish , dropped the word « naranja » and kept the word » china ». without altering its spanish pronunciation i.e, /tchina/…..
creponet ( a pied noire lemon sorbet inventred by a Spanish family in Oran and some say Annaba ? ) 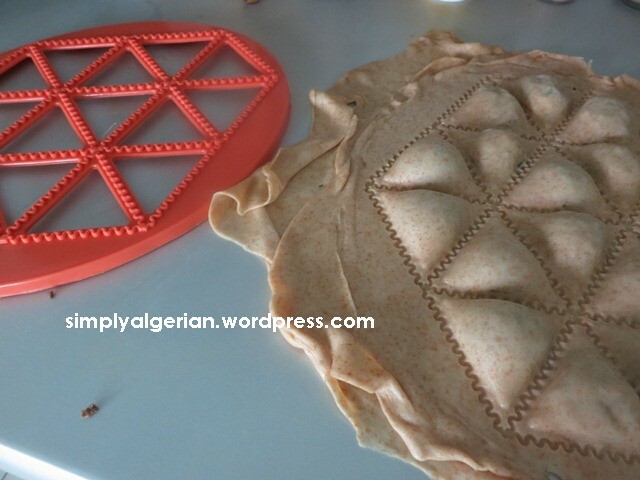 karantina ( cheak peas pudding ) and cocas ( spanish turnover ) are among the various iconic Algerian street food that continue to testify to a bygone Spanish era. 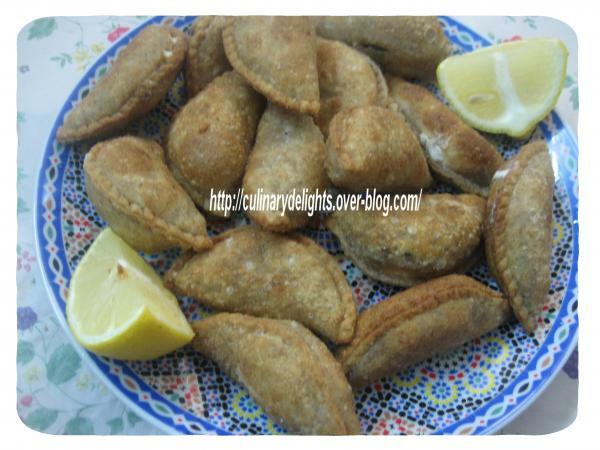 To change from the more classic Ramadanese bourek, I prepared these cocas by slightly changing this filling ( clic) ang giving them this shape (clic) It was very delicious ! Heat the oil in a frying pan add onion, pepper and garlic, cook, stirring over low heat for 2-3mn.or until soft and slighlty coloured. add diced tomato, cover ans stir occasionally until soft, add one or two tbsp of water if necessary. add the drained can of tuna, and the rest of the ingredients. season to taste. set aside to cool. spoon one tbs of the mixtue in the centre of the puff pastry. 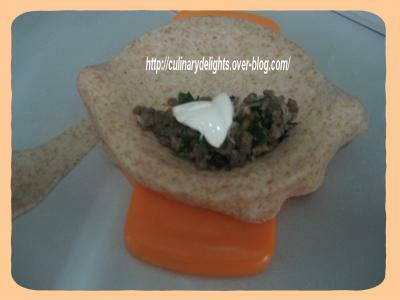 fold over to enclose half the filling , cover with the opposide side to form a cone. 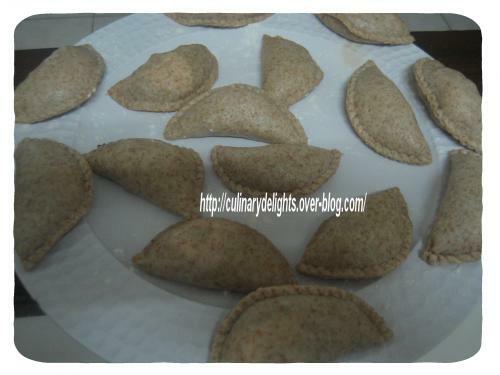 brush with egg , decorate with olives, and bake for 15 to 20mn until browned and puffed. serve hot. 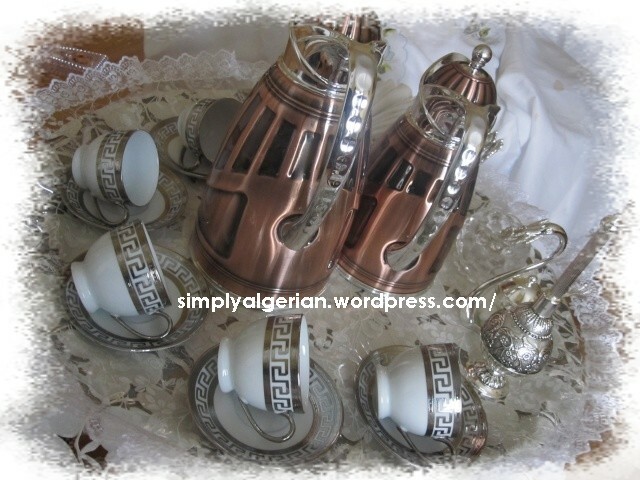 les cocas sont des chaussons Algeriennes , d’origine Espagnoles. – Raper l’ail finement, couper les oignons et le poivron en petits dés.- Egoutter le thon, l’émietter grossièrement, réserver.- Dans une poele, faire revenir l’ail, le poivron et l’oignon dans l’huile d’olive .remuer de temps en temps jusqu’a ce que l’oignon devienne translucide et le poivron tendre.ajouter la tomate coupee’ en des.couvrir laisser cuire sur feu doux.ajouter 2 cas d’eau si necessaire. retirer du feu.ajouter le thon emiette’ ,puis le reste des ingredients. assaisoner de sel ( tres peu) , poivre et paprika. reserver. prendre des carres de pate feuilletes. etaler la farce au milieu, comme sur les photos ci-dessus, fermer la moitie’ de la pate sur la farce puis couvrir avec l’autre moitie’ afin d’avoir la forme d’un cornet ou babouche. badigeonner d’oeuf et decorer avec des olives. enfourner et faites cuire dans un four chaud pd 15 a 20 mn jusqu’a ce que les feuilletes gagnent une couleur doree’. servir chaud avec une soupe ou une bonne salade estivale. Constantine … قسنطينة the city of the suspended bridges …..is the third largest city of Algeria after Algiers and oran and the regional capital of the Eastern province . What to say about Constantine? write about its Othomans history with the multiple » Beys » ( the Turkish governers) and their constant conflicts with the « Beys » of Tunis and the « Days » of Algiers or its Andalusian heritage coming all the way from the town of Seville ?, or may be about the role it played to protect the Arabo -Islamic identity of Algeria during the 132 years of French occupation ? I know you didn’t come here to learn about history, so let me introduce you into the culinary side of the city…. constantine cuisine is considered one of the finest in the country and the maghreb, a fusion of of past civilisation that inhabited the city… with its Arabic, Amazigh , Jewish , Andalusian and Othomanc influences,the cuisine of Constantine offers an incredible diverse and unique arrays of delicacies …..chrik ( rose water buns ), chbah essafra ( almonds fritters sweet tajine ), jaouziya ( nuts and honey nougats )….are few examples ..
chrik … literally meaning partner , is a typical Constantinois sweet bun associated with the month of Ramadan and offred along the famous Algerian rice pudding (mhalbi )as well as a choice of fruits like apples or peachs , this trio is labbled Smat and is often present on the table of ramadan nights . 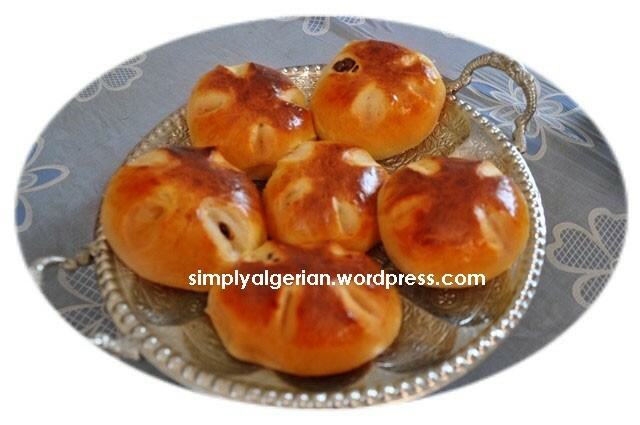 I have already tried two other recipes of chrik which were delicious but kouky’s recipe, as usual, left me speechless !!!!!!! 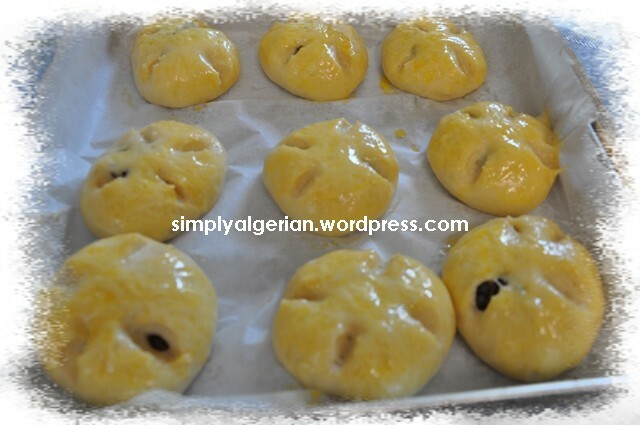 the bun is incredibly soft with a fluffy and milky dough….the key ingredients in my opinion are oil and milk powder. In your bread maker , mix all the dry ingredients. then, egg, oil, butter, and gradually add milk until you get a soft dough that slightly sticks to your fingers.knead thoroughly until smooth. cover and and leave in a warm place for one hour or until doubled in size. 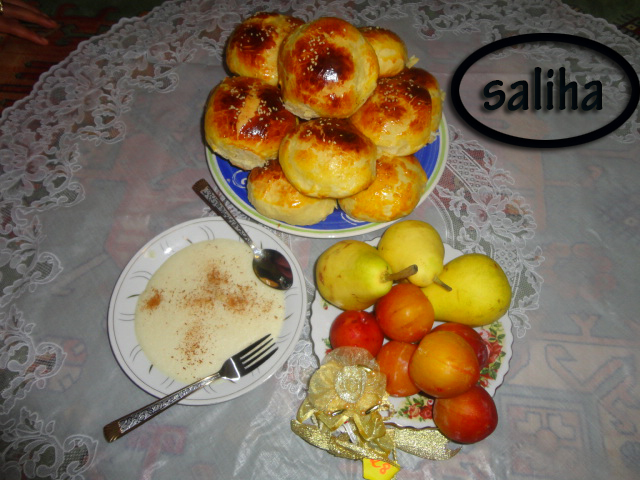 Souvent associe’ au Ramadan, le chrik se presente souvent en compagnie de la creme au riz Algerienne ( mhalbi) et des fruits de saison, notemment des pommes ou des peches….le tout s’appelle : « smat » et constitue un pillier de la table ramadanesque Constantinoise en compagnie des autres mets sucrees comme la halwa turque, le halkoum ( loukoum), zlabiya, et l’infinie liste des gateaux mieles aux amandes et noix. j’avais deja essaye’ deux recettes de chrik dans le passe’ , mais c’est celle de Kouky qui m’a letteralement seduite avec sa mie incroyablement douce , due probablement a la presence de l’huile et le lait en poudre dans la pate. j’ai divise’ les ingredients en deux et remplace’ l’eau de rose classique avec de la vanille. – Mettre dans la cuve du robot les ingrédients secs, bien mélanger. -On continue de pétrir la pâte jusqu’à ce qu’elle se décolle des parois de la cuve. – Dégazer la pâte, avec les mains huilées, façonner des boules de la taille d’une mandarine les placer dans un plateau garni de papier cuisson en les espaçant. – Laisser reposer à l’abri des courants d’air. – Enfourner et laisser 15 à 20mn ( 15mn pour moi ) jusqu’à ce que les chriks prennent une jolie couleur dorée. 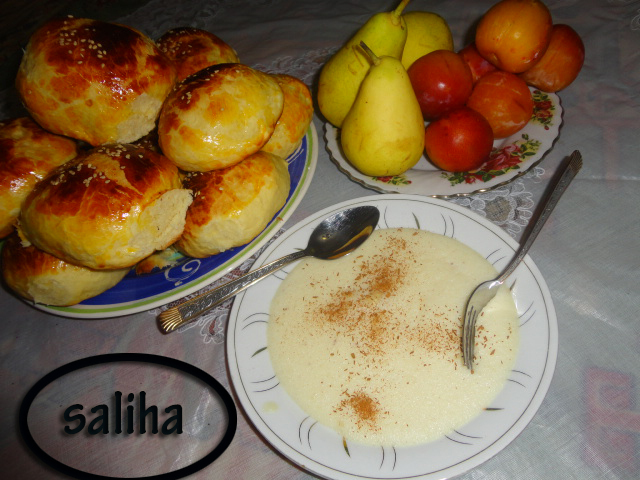 the « smat » is usually composed of chrik, m’halbi, (Algerian rice pudding) and seasonal fruits…..
MERCI beaucoup Saliha pour le partage et la belle illustration de nos traditions ramadanesques…. Thanks Saliha for helping me illustrate one of our beautiful ramadan traditions…. 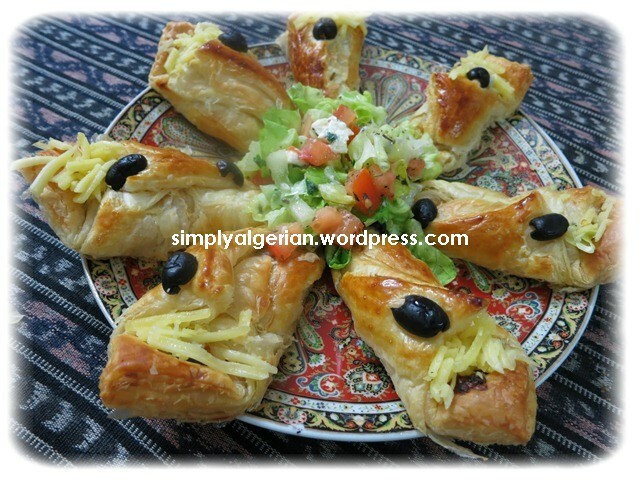 I continue sharing with you some of Algerian classical recipes , made last Ramadan and left unpublished because of my sabatical break . 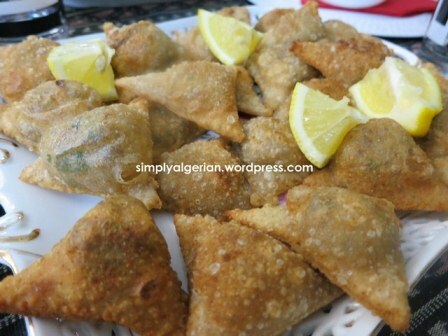 Bourek is in it self a typical Turkish word and laajina means » dough » in Arabic…which indicates that this fritter is made of homemade dough as opposed to the more famous » brik sheets » . 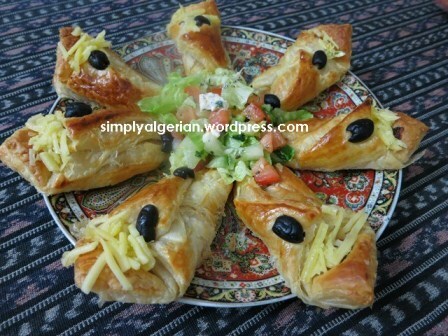 this appetizer is very much appreciated around the capital Algiers and its neighbouring towns…. spoon a tablespoon of the meat mixture into the centre of each circle , fold over the mould . 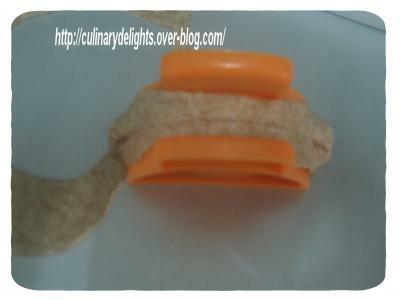 press it tightly to seal the pastry and enclose the filling, discard the leftover dough from the edges. place the pastries on an oiled or floured tray . 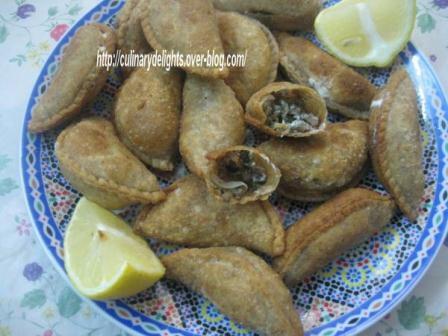 fry until golden brown and serve hot with lemon edges and a soup of your choice. 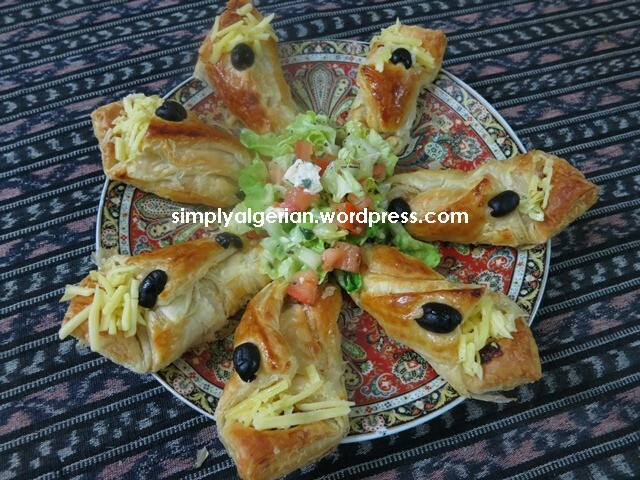 voici un autre classique ramadanien, appelle’ bourek laajina en Algerie, a l’opose’ de celui de feuilles de briks . 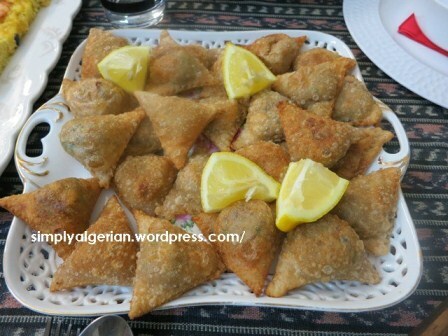 une specialite’ de la region Algeroise , grandement influence’ par l’heritage culinaire othoman. 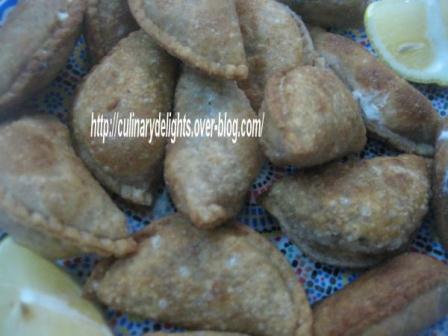 ma tante Algeroise prepare ces boureks avec un melange de semouline et farine blanche et leur donne la forme d’une lune, mais depuis que j’ai decouvert cette recette a base de farine complete , je n’en fait plus d’autres. elle est gouteuse et n’absorbe pas d’huile malgres son mode de cuisson. la quantite’ de la pate donne beaucoup de chaussons. vous pouvez soit diviser les ingredients ou bien congeler le reste de la pate pour une autre fois. . pour eviter l’ouverture de la bordure, je vous conseille de frire les chaussons aussitot formes, si vous voyez des petites ouvertures , pressez les avec le doigt pour que la farce ne deborde pas en cours de cuisson. melanger les ingredients, ajouter graduellement l’eau jusqu’a l’obtention d’une belle pate qui ne cole pas aux doigts . laisser reposer au moins une heure pour que l’on puisse l’etaler facilement. etaler la pate au rouleau. couper des disques , puis etalez encore fois le disque pour qu’il soit plus grand que le moule a chausson. mettre une cuillere a soupe de farce au milieu. fermer le moule. bien presser . enlever le surplus de la pate et disposer le chausson forme’ dans une assiette prealablement huilee’ ou farinee’. recommencer l’operation jusqu’a l’epuisement de la pate. 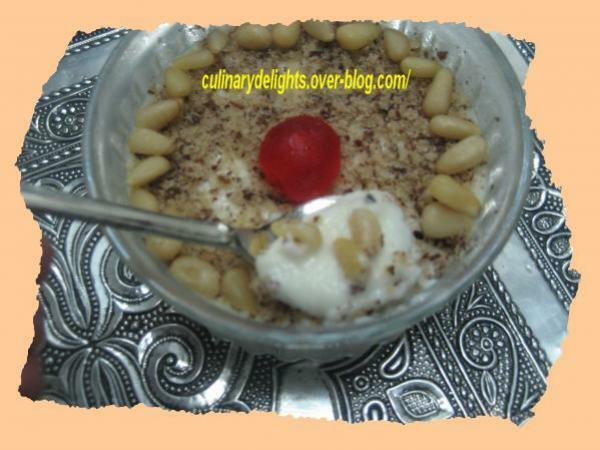 the flavouring and garnishing are versatile and may differ from one country to another but the delight brought by this dessert is equally agreed upon….my children for instance prefer this dessert to mhalbi (محلبى) the famous Algerian rice pudding….. 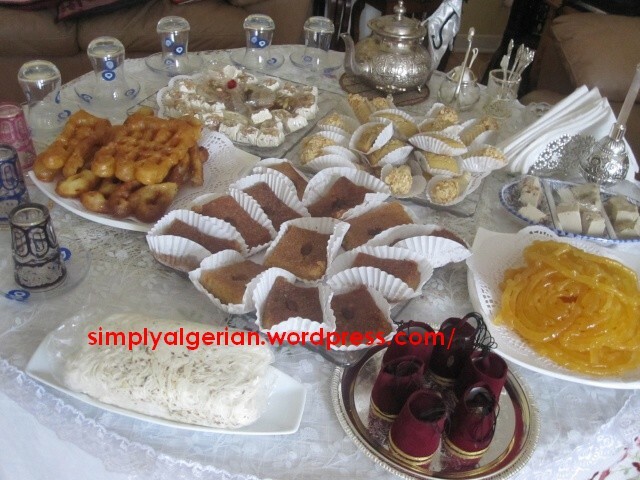 Note that the names of desserts in North Africa are often different from those of the middle east…. 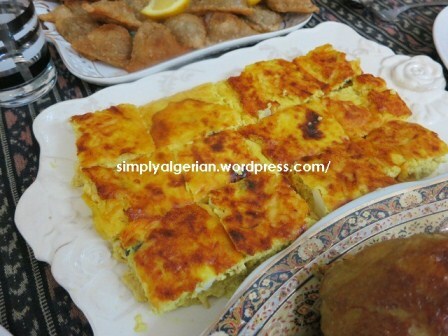 kounafa for example is called ktayef in Algeria and Tunisia while katayef/atayef are stuffed round pancakes similar to the Algero-Morrocan baghrir…. 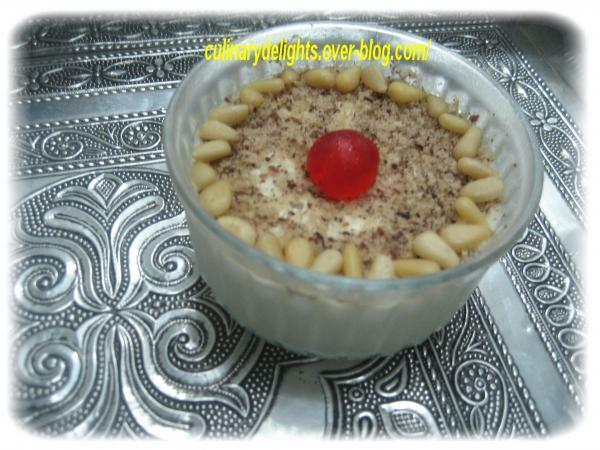 this milk pudding is called muhalabiya/ muhalabiyeh (مهلبية ) in the Middleast. 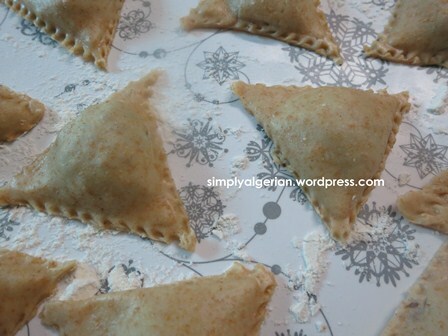 in Algeria is either called krima or palouza …mhalbi (محلبى) in Algeria is prepared with rice powder and not cornstartch…..
My family back in Algeria often prepares this krima without egg yolks, they would sometimes, add cocoa powder or lemon zest to change the flavour but with time and thanks to the long road of trial and errors method, I came up woth my own recipe that gives me total satisfaction….I prefer using water and milk powder as I can adjust the consistancy of the milk, the more unctuous the milk is, the more delicious the pudding will be….egg yolks are also a personal touch that makes the dessert lighter and creamier…. Cook over medium heat until slightly thickned. it will thicken once cooked so don’t over cook it . add orange blossom water. pour into small bowls. 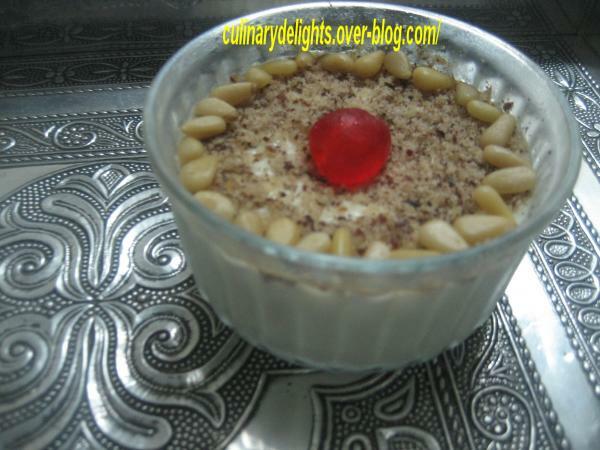 Garnish with crushed nuts . let cool then refrigerate. voici une petite douceur qui rhyme avec les soirees ramadanesques. en Algerie on l’appelle palouza ou bien krima selon les regions, au moyen-orient mhalabiya مهلبية ( Prononcer le H comme en Anglais ) . comme la creme de riz qu’on appelle mhalbi en Algerie, la krima trouve sa place ds toutes les tables ramadanesques du monde islamique, seul le parfum et l’ajout suplementaire de quelques ingredients changent . 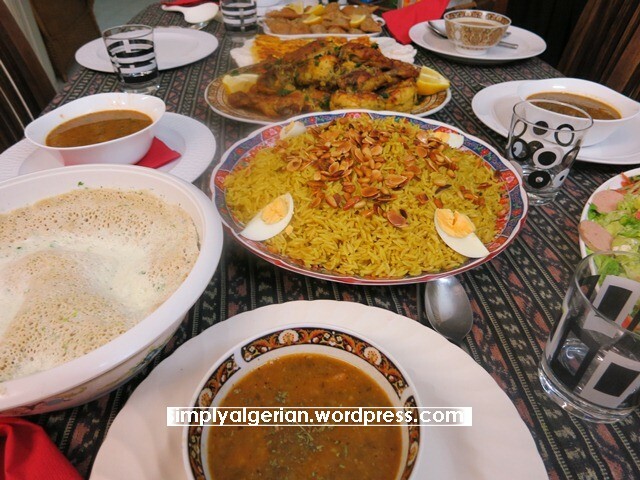 les photos dattent du Ramadan passe’, d’ou la signature de mon blog francais. prelever 1/4 de litre de lait et y faire dessoudre la maizena , ajouter les jaunes d’oeufs et bien battre vigoureusement. faire chauffer le restant du lait avec le sucre, et lui ajouter le melange lait/ maizena. faire appaissir sur feu moyen moyen. comme pour ma creme patissiere express , melanger a froid tous les ingredients et les battre dans un blender a jus . mettre a apaissir sur feu plutot moyen. quand la creme devient octueuse ( pas trop, mais ne vous en faite pas elle va prendre en refroidissant ) verser dans des ramequins et decorer au choix . laisser refroidir puis placer au frigo jusqu’au moment de la degustation.